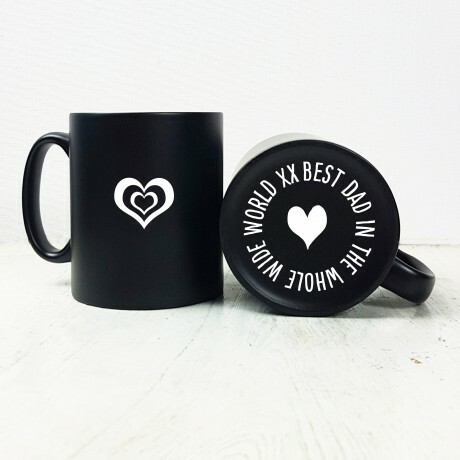 Delight your dad with this stunning black matt mug which is engraved with a double heart. 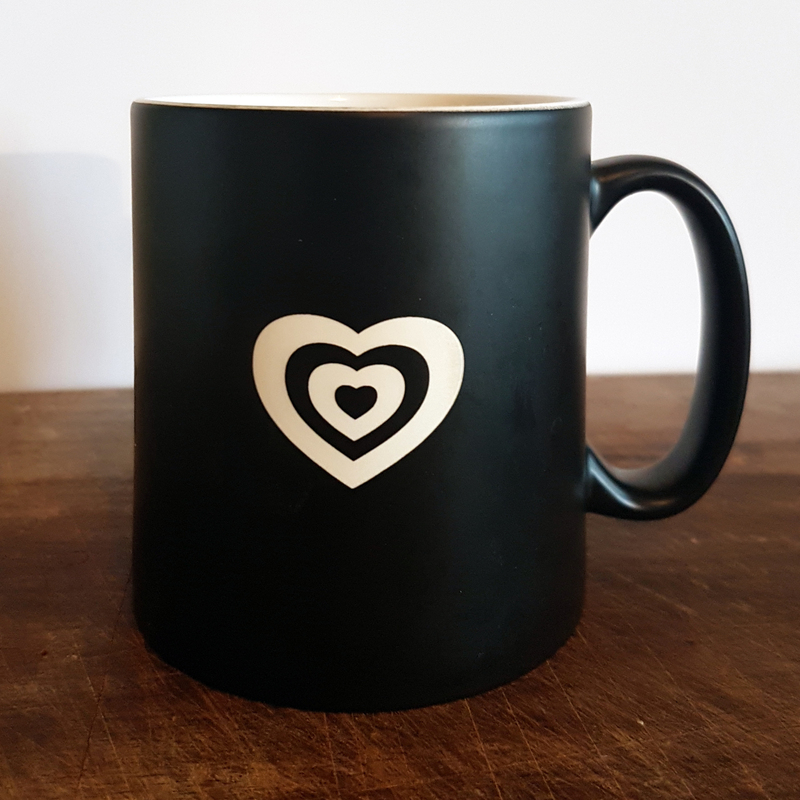 The engraving is a subtle effect but gives the mug maximum impact with a 3D effect. 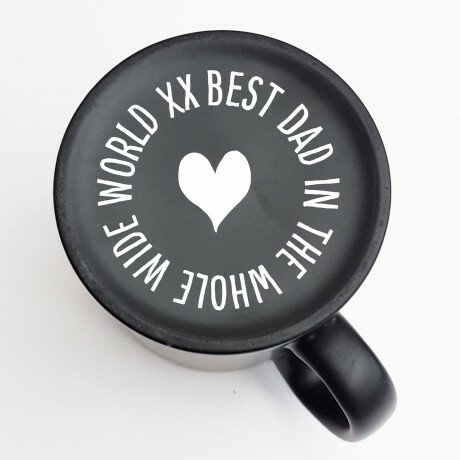 On the bottom of the mug, your message is carved into the base. A perfect gift to show your dad how much you love him each time he has a cup of tea or coffee.